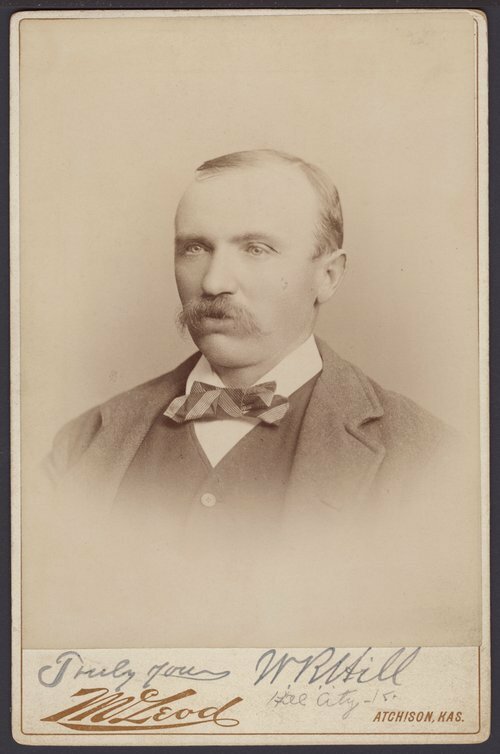 This is a portrait of W. R. Hill, who came to Graham County, Kansas, in 1876 and founded the town site which was named for him. Hill City was platted on June 16, 1879. After several elections for the county seat which Millbrook, 3 miles to the southwest, had won, Hill City won the right to be the county seat in an election held on March 16, 1888.